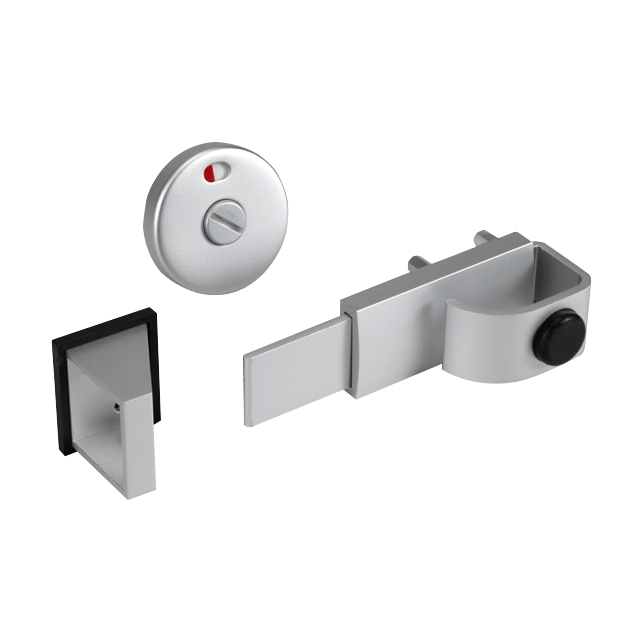 The satin anodised aluminium Asec Cubicle Kit is a cost effective cubicle solution. 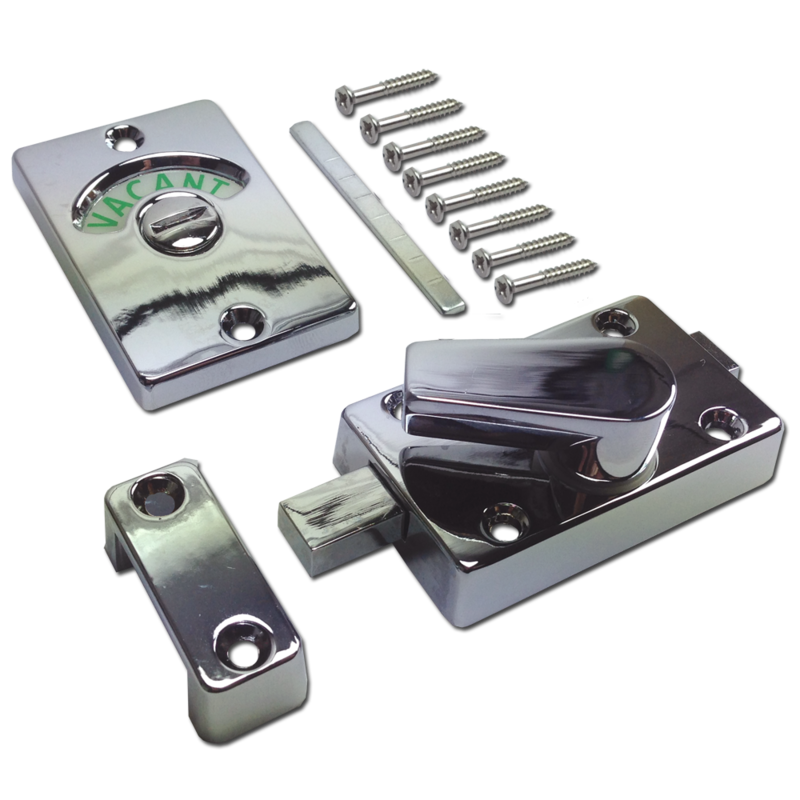 The pack includes the door indicator bolt & keep, an adjustable leg support, a pair of rise & fall hinges and 6 brackets to provide you with a complete out of the box solution. 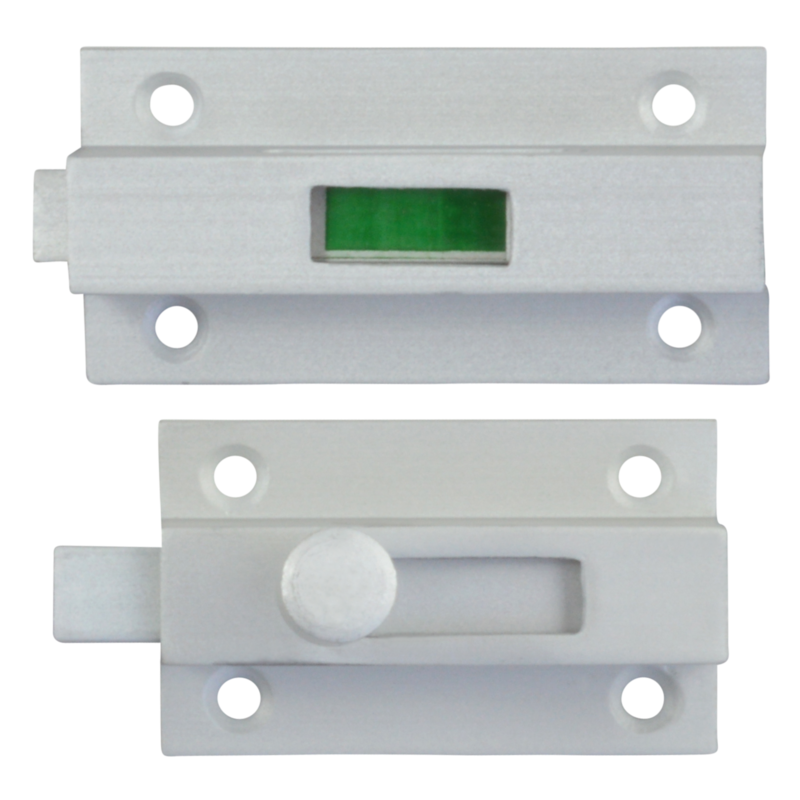 The satin anodised aluminium Asec Cubicle Indicator has many DDA compliant features such as a slide bolt for ease of use with a clenched fist and a red and white indicator for easy differentiation for the visually impaired. 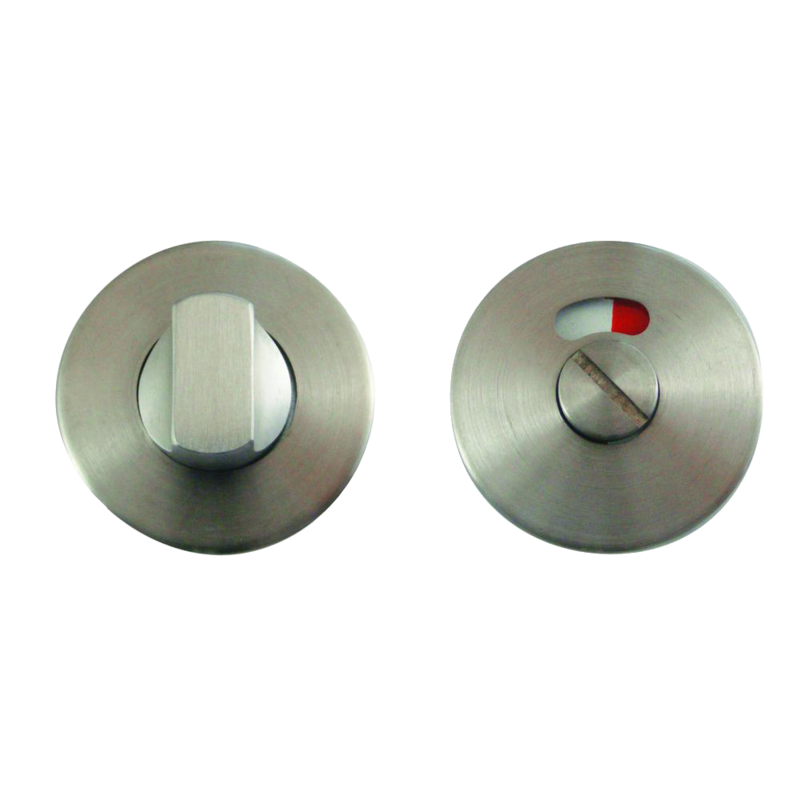 Supplied with open in keep and rubber buffers, this product is suitable for both 13mm and 20mm board. 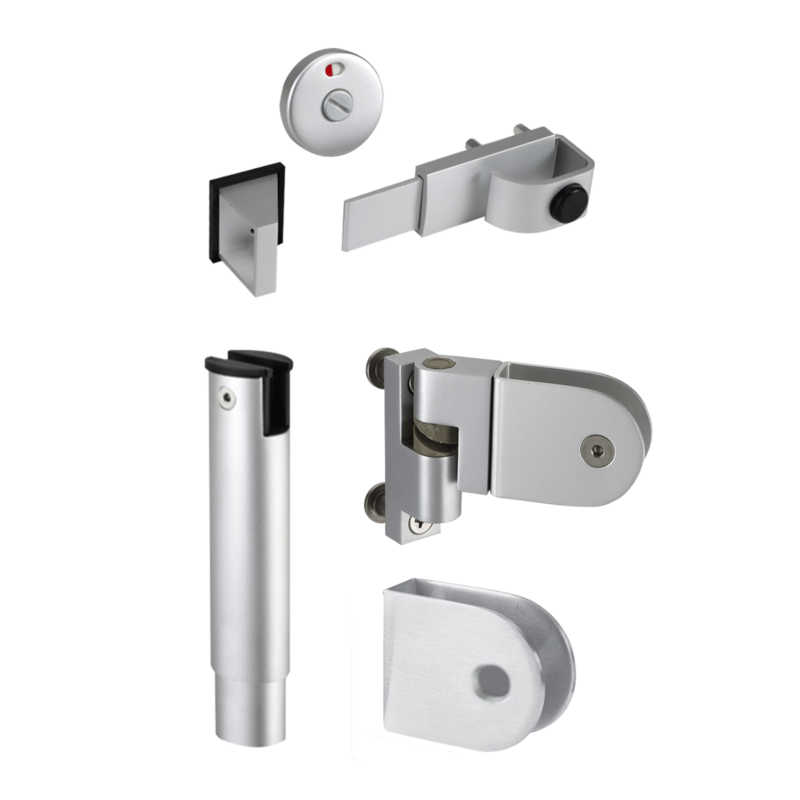 The Asec lever arm cubicle indicator bolt with emergency coin release and concealed bolt through fixings is suitable for use on both 13mm and 20mm thick board. 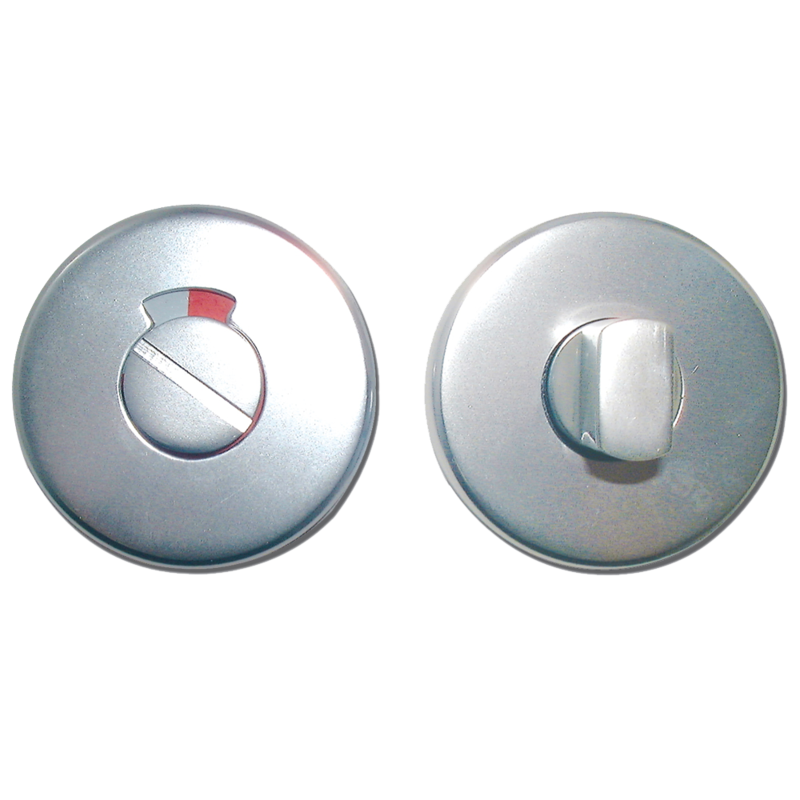 The Asec palister turn with buffers and emergency coin release indicator is suitable for use on 13mm or 20mm thick overlapping doors. 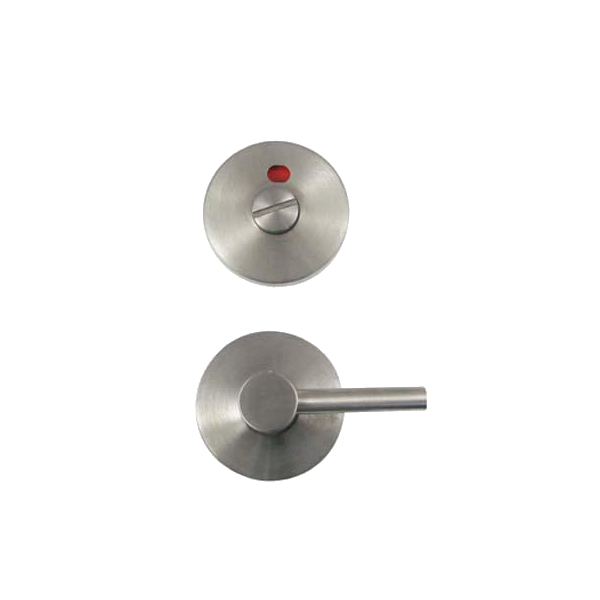 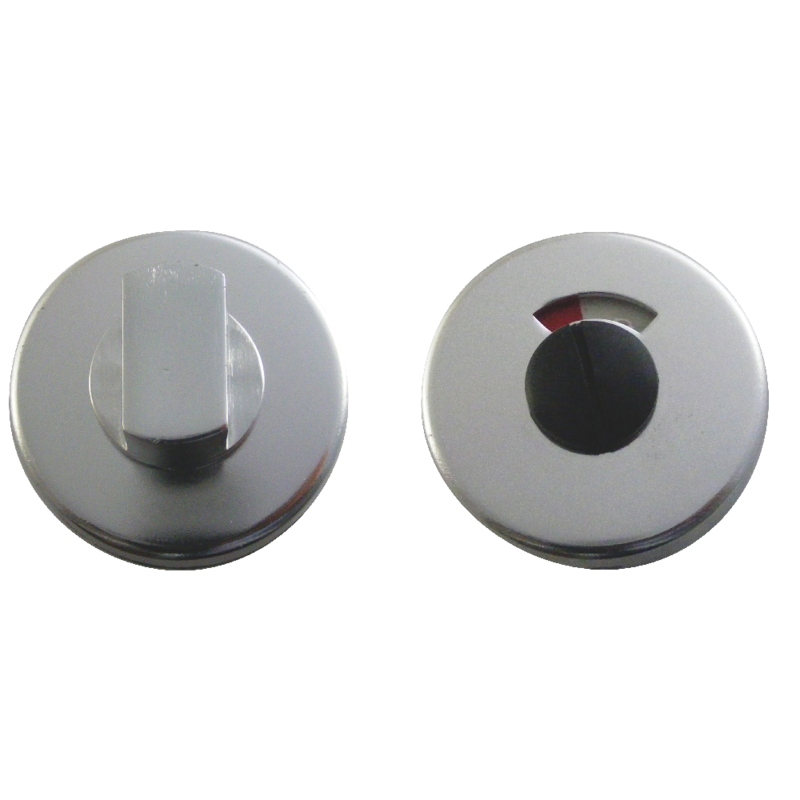 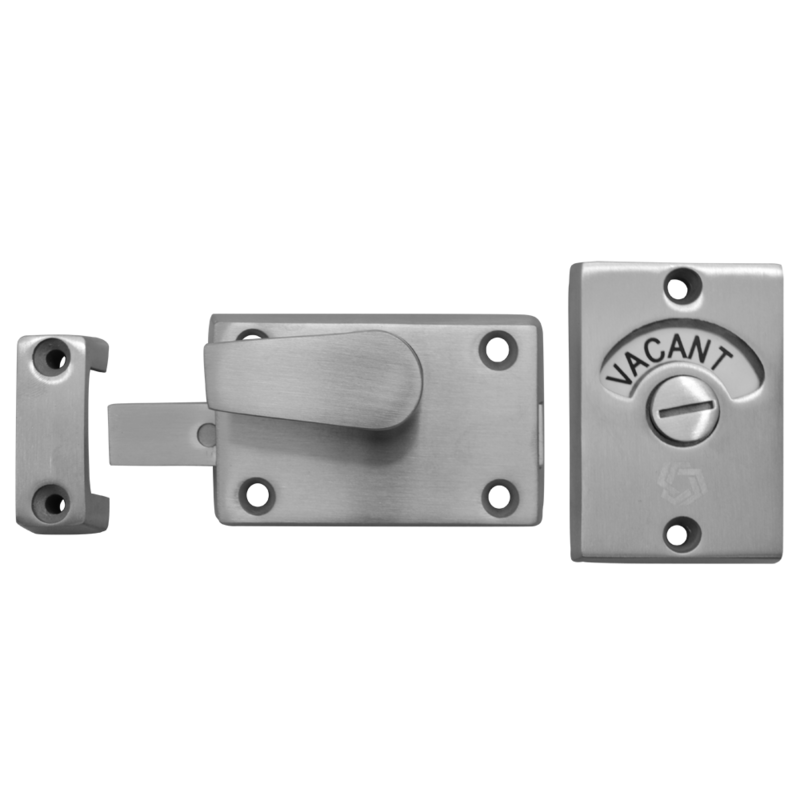 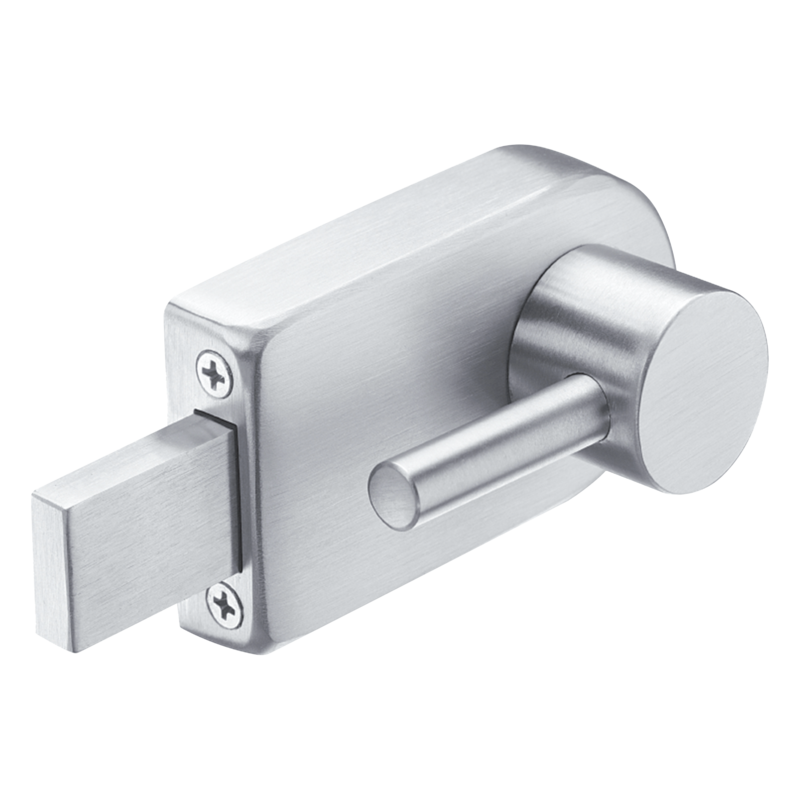 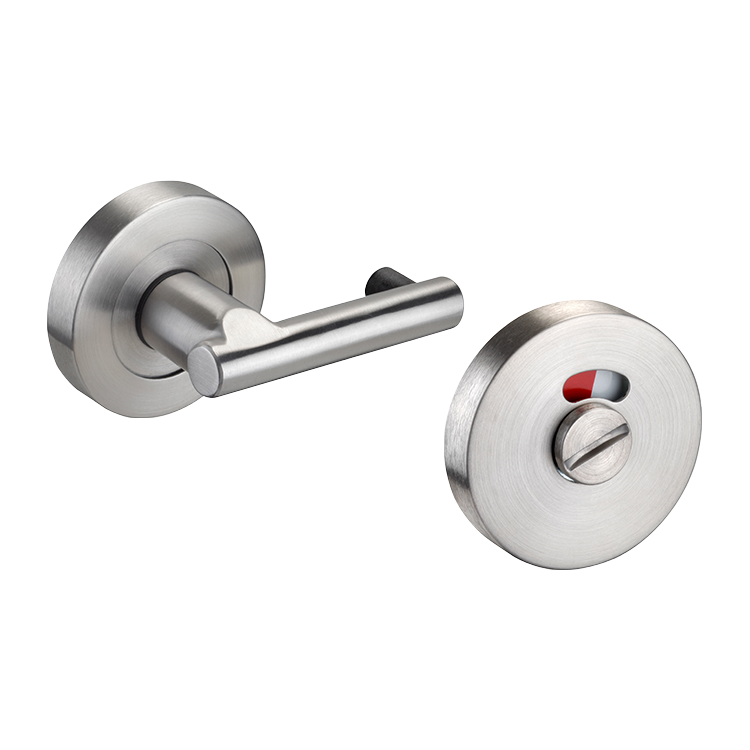 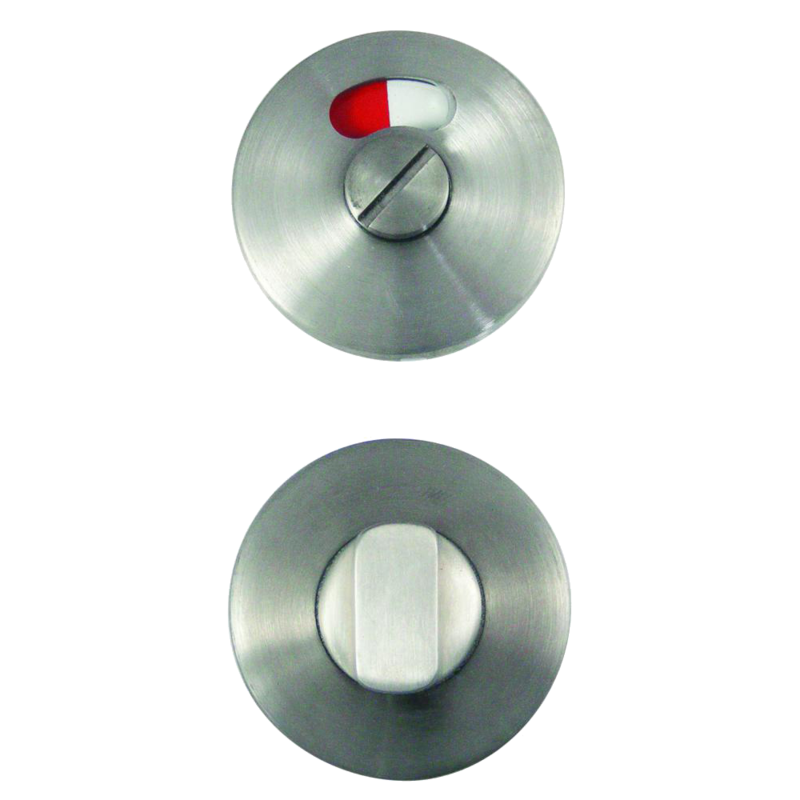 A robust and aesthetically pleasing Asec indicator bolt with slotted external override (designed for use with a coin), usually used in applications such as bathroom cubicles.